Two weeks ago, if someone told me I would one day be vaping yogurt and like it, I would have probably laughed in their face. I mean, with so many appealing flavors to choose from, why would anyone vape yogurt? 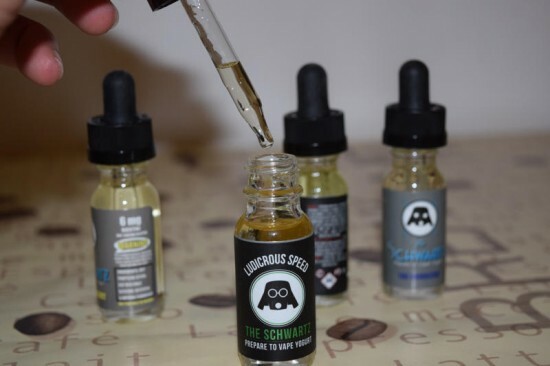 But that was before I tried The Schwartz, a unique yogurt-based e-liquid line, and had my mind completely blown. I have to admit, the main reason why I spent $48 on The Schwartz was curiosity. I’m not the biggest yogurt fan and I didn’t have my hopes up about these four flavors, but I really wanted to know what they taste like. 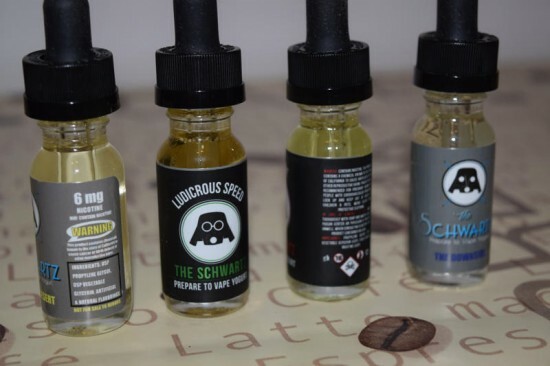 Also, The Schwartz had mostly positive reviews on the online e-liquid shops I usually by from, which got me even more intrigued. So I took a leap of faith and the only thing I regret is not getting more of it. In case the name didn’t give this away already, The Schwartz is inspired by one of the best movie parodies ever made – Spaceballs. The names of the flavors (The Upside, The Downside, Ludicrous Speed and Comb the Desert) are also taken from the popular Mel Brooks film, and the logo on the bottles is the dark helmet worn by Rick Moranis’ character Dark Melmet, a spoof of Darth Vader. So if you needed a reason to see this comedic masterpiece again, The Schwartz is it. 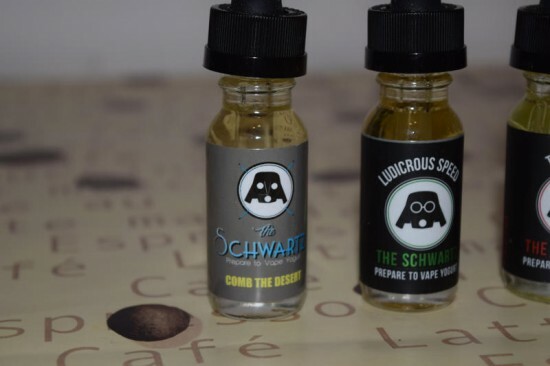 The Schwartz comes in 15 ml, 30 ml and 120 ml bottles and 0, 3, 6 and 12 mg/ml nicotine strengths. They are 60VG/40PG blends and are handcrafted with USP-grade ingredients in a sterile facility in Long Beach, California. In terms of packaging, The Schwartz is nothing special, but ticks all the necessary boxes, which can’t be said about a lot of other juice companies on the market right now. The 15 ml bottles I bought are clear glass with high quality childproof dropper caps. I think the company recently changed the design of their labels, because I wound up with two slightly different label types, as you can see in the photos. The newer style, which shows up on The Schwartz website, features all the necessary nicotine warnings, nicotine strength, a list of ingredients as well as a number of useful pictograms and a born-on date. The four flavors in The Schwartz line are all yogurt-based, but even if you’re not crazy about the dairy product, the combinations these guys have come up with might just surprise you in a very good way. As I mentioned, they certainly surpassed my expectations. Ludicrous Speed – Yogurt and honey is not really a thing in my neck of the woods, so I didn’t really know what to expect. After taking a whiff of this juice, I didn’t really detect the yogurt at all, but the sweetness of the honey was definitely there. Vaping this stuff was a totally different experience for my senses though, with the creaminess of the yogurt blending perfectly with the honey and leaving my mouth watering for more. Ludicrous Speed tastes just like yogurt drizzled with swirls of honey. It’s a nicely balanced flavorful e-liquid that I for one can’t get enough of. It’s also one of the sweetest juices I have ever tried, which is a plus for me. I for one can’t think of too many better all-day vapes that Ludicrous Speed. It’s creamy, sweet and rich. I don’t say this too often, but for me this juice is perfect. Hands down my favorite The Schwartz flavor and one of the best I’ve ever vaped. Comb the Dessert – Peanut butter flavored yogurt with crushed hazelnuts was another unknown combination for me, but after being away by Ludicrous Speed, I was eager to give it a try. The yogurt in this one is definitely bolder, you get that characteristic tartness especially on the exhale, but it’s the peanut butter and hazelnuts that really make Comb the Desert shine. This isn’t just a yogurt flavor with some nutty notes, you can actually taste the creamy peanut butter and hazelnuts. 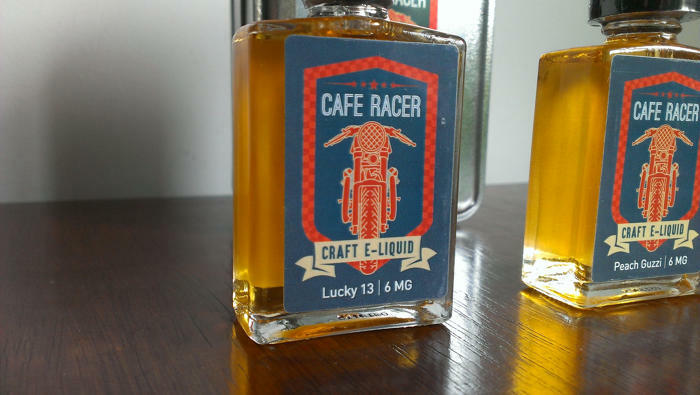 I have no idea how The Schwartz pulled it off, but this is one amazing e-liquid. 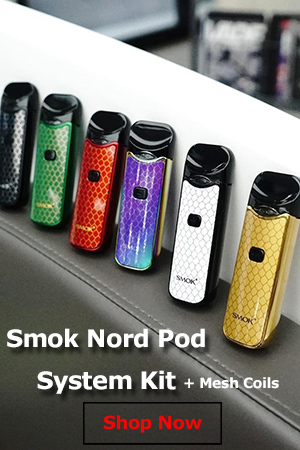 This flavor is also on the sweet side, but it’s also incredibly smooth, so much so that the throat hit at 6mg/ml nicotine strength is unusually week. That can be said about the whole line, actually. Comb the Dessert is to die for! It went great with my morning cup of coffee, but I can see it used as an all-day vape as well. 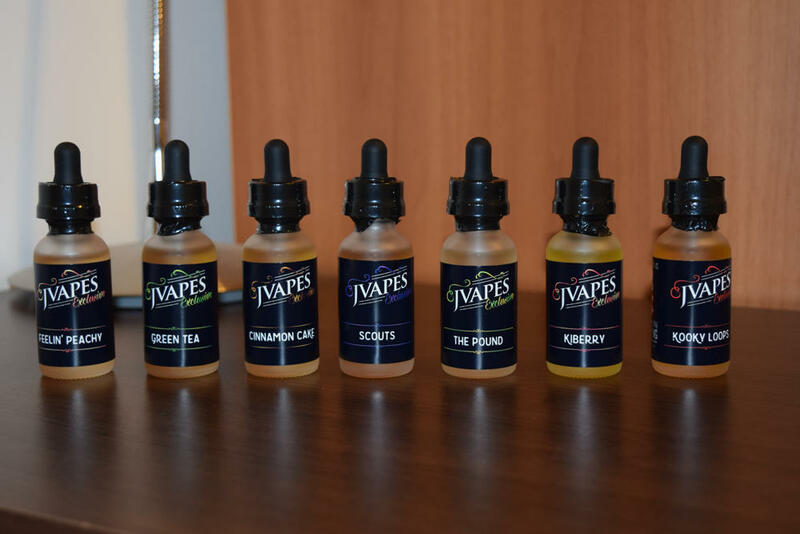 If you’re into yogurt and peanut butter, or if you just like sweet, creamy vapes, this juice is a must-try! The Downside – Finally, a familiar combination, something I could compare it with. The Downside is supposed to taste like tart Greek yogurt and fresh blueberries. I think the emphasis should be on “fresh blueberries” because that’s the vibe I get vaping this. The tart, creamy yogurt is even bolder than in the other two flavors, but it’s the natural taste of the blueberries that really surprised me. It’s not the sweet, syrupy blueberry flavor most other e-liquid companies use, but a clean, tart blueberry, which in my experience as a vaper, is pretty rare. The Downside is not as sweet as Ludicrous Speed and Comb the Deserts, so if you’re looking for an authentic blueberry-flavored Greek yogurt in vapor form, you can’t go wrong with this one. The Upside – This fourth and last The Schwartz flavor is a blend of light yogurt and strawberries. Although it smells of sweet strawberries, when vaped this juice actually reminds me of fresh, ripened strawberries, not the overly sweet artificial flavoring. But, while the other three flavors clearly have a strong yogurt base, in the Upside, the yogurt is very discrete, for some reason. I’m guessing it’s because it’s supposed to be a light yogurt rather than a rich, creamy Greek yogurt. That’s not necessarily a bad thing, especially if you love strawberries, but since yogurt is the main selling point of the entire The Schwartz e-liquid line, I guess you could consider it a small con. The Upside is by no means a bad e-liquid, in fact it’s one of the most realistic strawberry flavors I’ve ever vaped, and the yogurt is there, it’s just considerably lighter than in the other three juices. Overall, I thought The Schwartz was amazing. Like, seriously, who knew vaping yogurt could be so incredibly delicious? 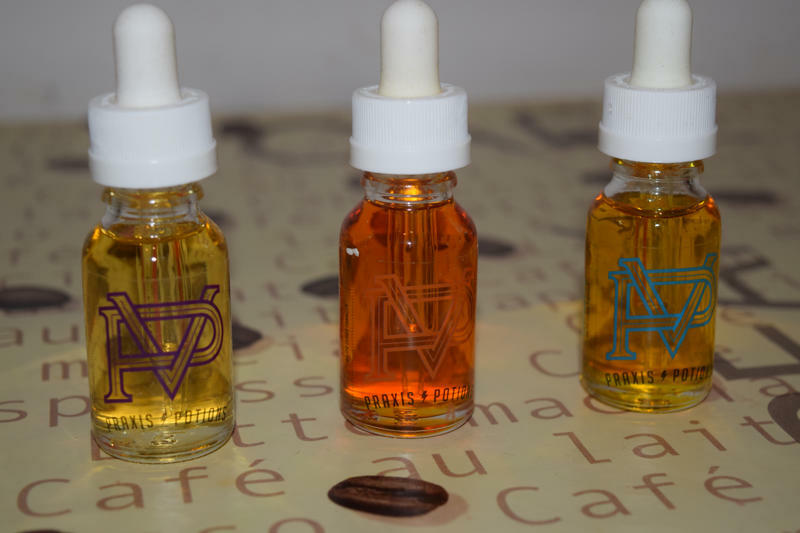 With a lot e-liquid flavors on the market these days tasting very similar, these guys have managed to come up with some truly unique blends. And whether you’re into creamy, sweet or natural fruit flavors, you’re bound to find something you like in this e-liquid line. The one thing I didn’t like – kind of – was the weak throat hit I got vaping The Schwartz. Theoretically, the relatively high PG content should have enhanced the throat hit, and yet I could barely feel it. Just to be clear, I vaped these e-liquids in my Tugboat RDA and SMOK TFV4 Mini tank, both with 0.30Ω dual Clapton coils, on my X Cube 2, at 75 watts. It might be the smoothness of the yogurt, but I’m not sure. One thing is for certain though, if I had known about this anomaly beforehand, I would have gone for the 12 mg/ml nicotine strength. 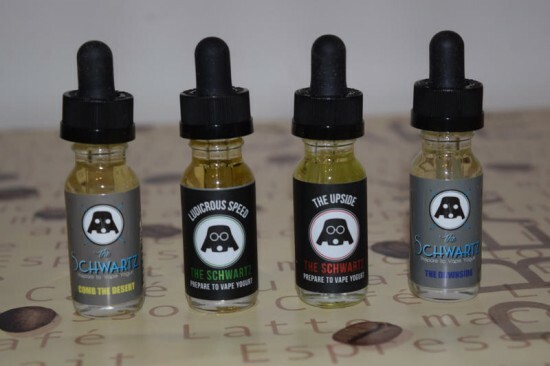 Price-wise, The Schwartz is in line with most premium e-liquids – $12 for the 15 ml bottles, $22 for 30 ml and $80 for 120 ml. 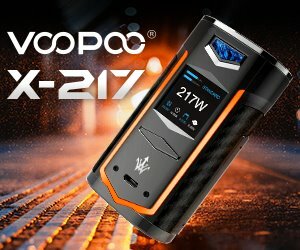 A bit on the pricy side for the average vaper, but totally worth it in my opinion.